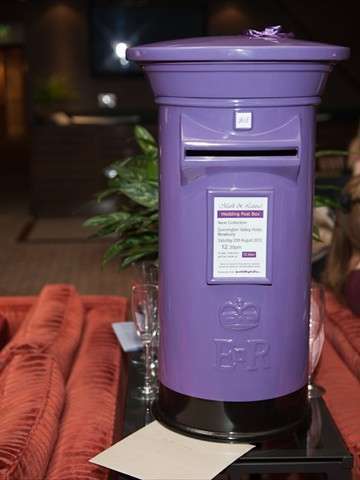 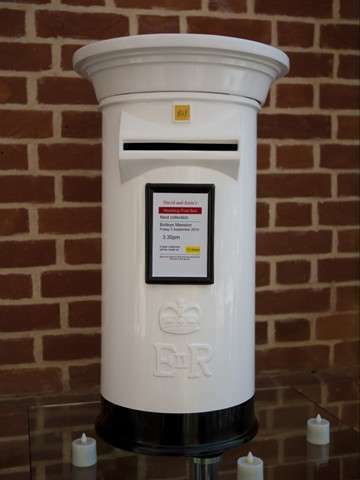 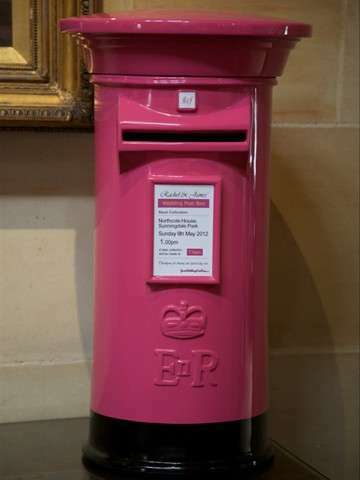 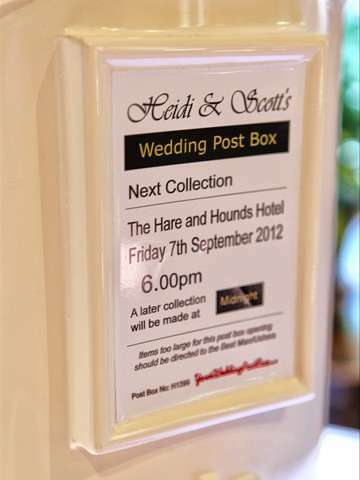 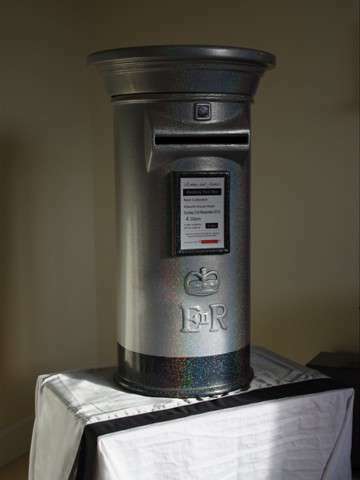 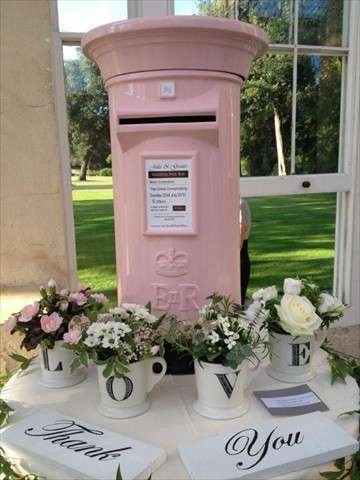 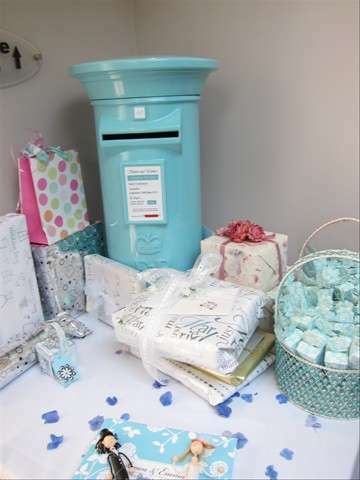 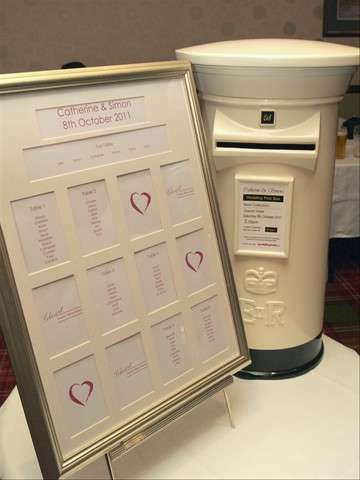 When hiring your wedding post box you can choose a preferred colour scheme from a wide selection of our standard available colours (subject to the availability of your date) including Post Office Red, White, Ivory, Hot Pink, Pale Pink, Purple, Plum, Pale Blue, Navy Blue, Royal Blue, Emerald Green, Tangerine Orange and Yellow or our top of the range Silver Holographic Sparkle and Gold Holographic Sparkle BlingBoxes. 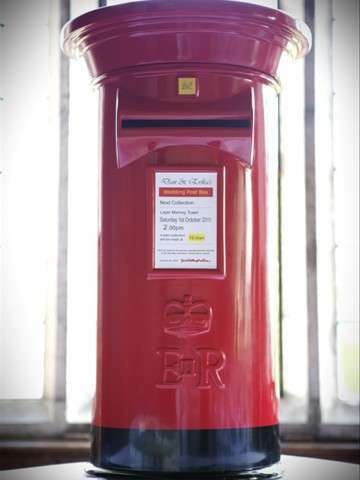 The classic post office red pillar box is world renowned and one of the longest standing icons of modern day Britain recognised by just about anyone young and old. 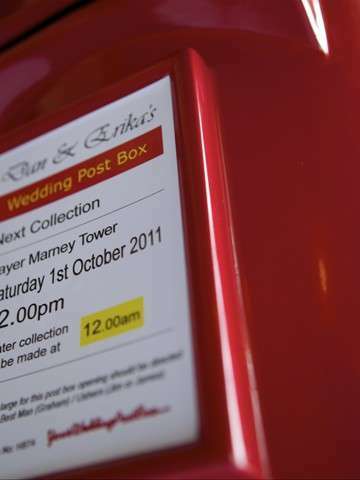 The bold red post box stands out from any background, be it a busy street in London or your wedding reception venue. 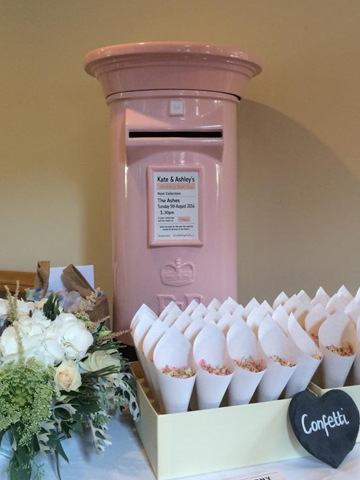 But if you would prefer a more subtle colour scheme, for example a classy ivory wedding post box, or maybe a colour scheme to match your wedding theme, flower bouquet arrangements or bridesmaid dresses you can choose from our ever increasing range of popular colours. 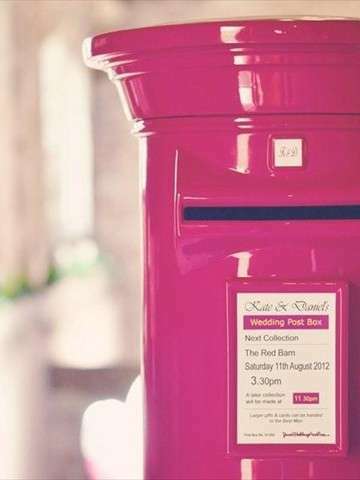 And of course in addition you could decorate your post box with ribbons, decorative flower arrangements or any decoration style suitable to your theme that you wish. 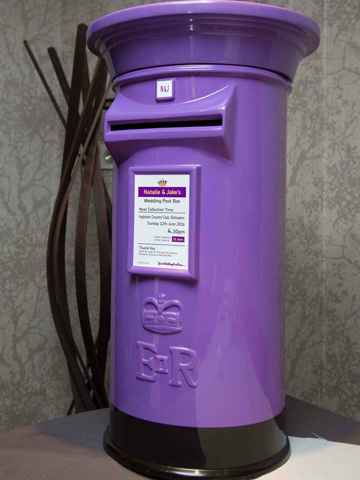 We have a wide range of popular colours for all seasons and as new colours gain in popularity we are always keen to keep with the trends. 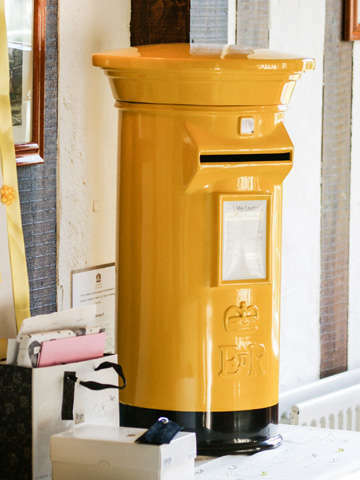 If we do not have a colour close to your preferred colour scheme we may consider adding one. 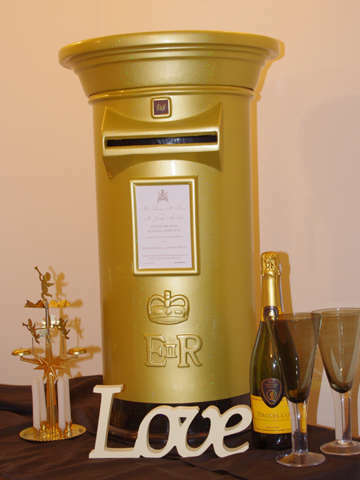 Simply ask us if we might add your colour. 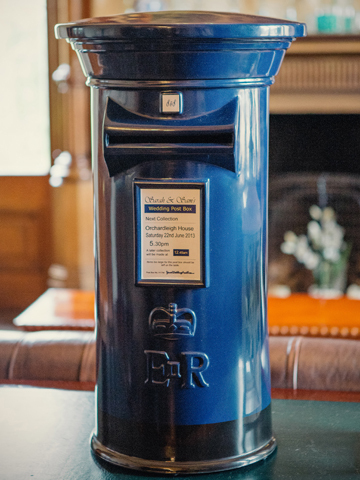 And as we manufacture and maintain all of our own unique, registered and protected design of post boxes in house we don't only stock one or two but have a large hire fleet. 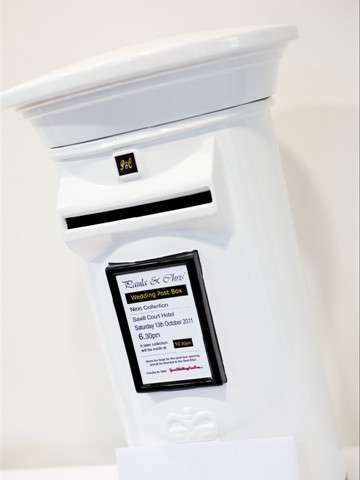 Plus we keep our products in tip top showroom condition assuring you that you will always receive the highest quality that you and your wedding day deserve.